Muffled hearing is a feeling like you have cotton in your ears. It reduces the ability of the patient to properly discern sounds frequencies. Muffled hearing and ringing can be sudden or gradual. It can affect only one ear or both ears. If you are wondering what causes muffled hearing in one ear, they will be discussed below. Asymmetric hearing loss - In this condition, the hearing is worse in one ear than the other. The ear that has poor hearing quality has a muffled sound. Ear infection - It is one of the causes of muffled hearing in one ear. If you have outer or middle ear infection, there could be a build-up of fungi or bacteria in the ear. It could significantly affect the quality of hearing. The sound is muffled in the affected ear. High frequency hearing loss - People with high frequency hearing loss has a difficulty hearing high pitched sounds. These people can actually hear the sound but they have a hard time understanding what the sound is. To confirm the diagnosis of high frequency hearing loss, you need to see an audiologist. Eardrum perforation – Muffled hearing can be an indicator that something is not going right in your eardrum. 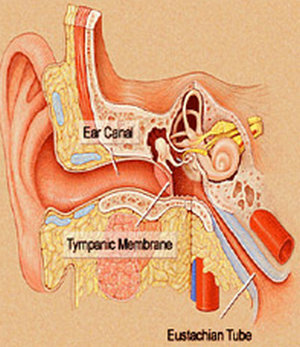 Image 1 : The ear and its different components such as the ear canal, tympanic membrane, and Eustachian tube. 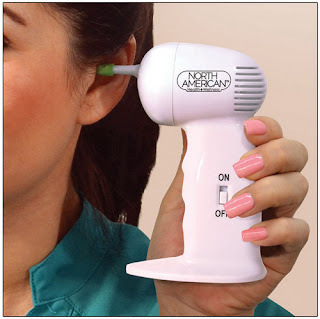 Picture 2 : A professional device used by audiologist to help get rid of excessive earwax. What does aural fullness mean? Aural fullness is a feeling of pressure in the ear. It feels like your ear is congested or stuffed, especially if you swallowing or yawning. Aural fullness has something to do with the structure of the ear or a problem in the internal auditory canal. You will also feel a pressure in your ear if there are debris, cerumen, or hair in the ear canal. Sudden sensorineural hearing loss (SSHL) is an abrupt loss of hearing. It is also called sudden deafness. The hearing becomes more muffled. You could hardly hear the sound because it is so faint. A sudden deafness occurs when there is damage in the structures of the inner ear including the nerve pathways between the ear and the brain. The exact cause of sudden sensorineural hearing loss cannot be pinpointed because there are over a hundred causes of SSHL. Some of them include trauma to the head, injury to the head, inner ear malformation, exposure to loud noise for a long period of time, abnormal growth of tissues, side effects of aging, Meniere’s disease, multiple sclerosis, side effects of medication (ototoxic medication), and congenital SSHL. How to get rid of muffled hearing? If your hearing is muffled after swimming, then you have to check the affected ear for presence of fluid. You can easily drain the water by leaning towards the shoulder of the affected side. If you are suspecting a build-up of earwax, gently remove it using clean cotton buds. You might want to consider using an ear wax softening solution. It can be readily purchased over the counter at the leading drugstores. A warm bath and gentle massage can help relax the surrounding muscles of the ears. This method can somehow ease the problem with muffled hearing. Use the Valsalva maneuver technique. It is performed by closing the mouth and pinch the nostrils closed. Take a deep breath through the mouth and blow air through the nose. You will then hear a popping sound, which indicates that the Eustachian tube is now open. Valsalva maneuver alleviates pain and relieves stiffness. If you have tried the above-mentioned remedies and nothing seemed to work, the best thing to do is to consult your audiologist. The doctor will determine the root cause of the problem and will come up with the best possible solution.